Students have the chance to explore the many clubs and organizations at OCCC. 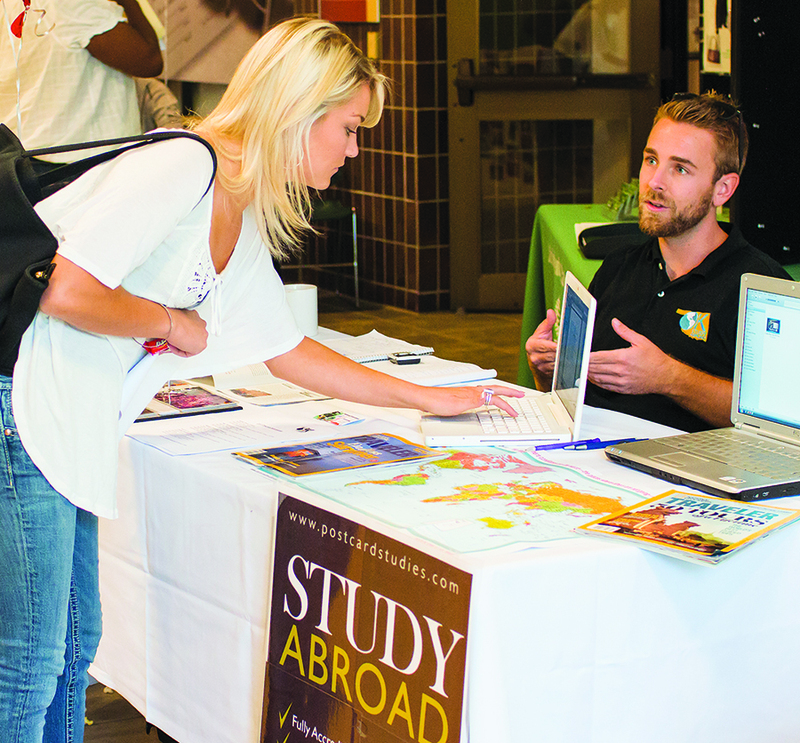 The organization fair will be held from 10 a.m. to 6 p.m., Jan. 30 and 31, in the lobby of the Main Building, said Student Clubs and Organizations Assistant Karlen Grayson. Grayson said each club will have a table with information about their club and what it offers students, as well as the scheduled club meeting dates. She said Student Life will also keep information about the many resources each club offers. “Students will be able to see the various clubs and organizations at OCCC, ask any questions they may have and, of course, it is an opportunity for them to join,” Grayson said. Biology Major Feri Nematzadeh said she believed the fair makes OCCC look more alive, overall as a campus. Grayson said a few mentionable clubs that will be at the fair include the Gay Straight Alliance, College Democrats, Advocates of Peace, Christ Campus Fellowship , Hispanic organization, Promoting Education (HOPE), Engineering Club, Christians on Campus and Kappa Beta Delta. The fair is good because you get to know more people and it is a way to communicate with others, Macras said. “Communication is important so you won’t be lost and feel like you are the only one,” she said. Macras, 20, said she is a member of several clubs including Civic Honors, International Student Association, TRiO and Health Professions. She said organizations are extremely helpful to students. “It looks good when you want to transfer to a university, as well as making you look like you are interested in applying yourself to the college, even if it is a community college.” she said. Nematzadeh also said she is a member of Health Professions, TRiO, and International Student Association. For more information about the student organization fair, call 405-682-7523, or stop by the Student Life office located on the first floor of the Main Building.